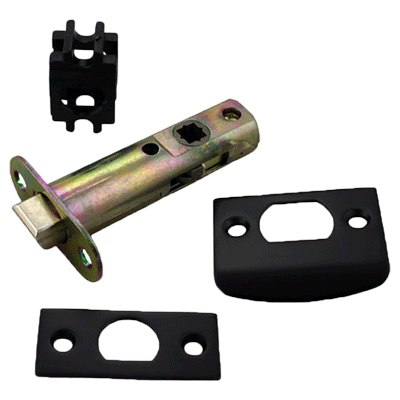 High quality tubular door latch for both left and right hand doors. Available in passage or privacy configurations. This latch will allow you to use our glass knob set on modern doors. 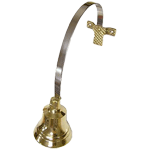 Striker plate: 2-1/4" x 1-3/4"
Solid brass with an oil rubbed bronze plating. Package includes one tubular latch, one face plate, one striker plate, one alignment piece and mounting hardware. This item ships same or next business day. Hardware Tip: Tubular latches are made so that old knobs and modern glass knobs can be used in modern doors.